Where do I use my Mothercare voucher code? Add the items you would like to purchase to your basket. Once you have finished shopping visit the basket page by clicking the basket icon in the top right corner of the screen. On the shopping basket page, you will find a Promotional code section with some small text saying ‘apply code’. Click the text to reveal a drop-down box. Enter your code into the box and click ‘apply’. "Huge savings available in the sale section." New mums, mums-to-be and those with already blessed with young kids have a friend in Mothercare, the award-winning and longstanding maternity retailer whose helping hands have been appreciated by generations of British mums. You naturally only want the best for your baby, and Mothercare makes sure that everything they stock - from car seats to cots, from bottles to baby monitors, from maternity wear to their first fun toy - is of the highest quality, carefully checked and presented at the lowest price. Expectant mothers can use the Baby plan service and make the most of Mothercare’s expertise in planning everything you could want for your newborn, all delivered to your door when you need them. A membership in the Baby & Me club brings you special offers, vouchers and other perks to ease the trials and tribulations of rearing your little one, too. It’s not all pushchairs and powdered milk, either. Mothercare know that the best preparation for a newborn is the right information, and their extensive parenting guides written by experienced midwives and other professionals will help you through every step of the way with tips for yourself and for your child, from the moment you first hold your them to the day they set off to school. Mothercare aims to be the world’s leading mother and baby specialist. Their products are designed to meet the needs of mothers to be, babies and children up to the age of eight. Their products available include clothing and footwear with children’s ranges from entry price, offering mums everyday value, to the more premium brands like Little Bird, Baby K and Blooming Marvellous, the maternity range. Mothercare also offers home and travel products which include pushchairs, car seats, furniture, bedding, feeding and bathing equipment. As well as toys, which are mainly for babies, from brands like Fisher Price, Lego and LeapFrog. Mothercare offers click and collect service, free returns and an outlet store where you can finds items on offer for discounted prices. Prams are the most basic necessity when it comes to your baby or toddler. Finding the right pushchair, made with high quality and practicality in mind is crucial. Prams at Mothercare come in all different shapes, sizes and styles so you can find your perfect one. Shop brands like Jane, Silver Cross, ABC Design, Cosatto and iCandy and choose from a range of 3 and 4 wheelers. You can also specify your desired colour, price, age suitability, travel system, pram system and Mothercare will handpick your ideal pram. With so many products to choose from you’ll be spoilt for choice, and with the help of the outlet and offers section you may even find your perfect pram for a bargain price. Car seats are a very important safety device that can be potentially life-saving for your child, because of this Mothercare know that choosing the right one is a big deal, which is why they offer over 800 products for you to browse and shop online. With Mothercare, you can identify the right weight, size and Isofix that’s ideal for your child. You can also choose from trustworthy, good quality brands like Maxi Cosi, Britax, Disney, Migo and Mothercare’s own personal range. View ratings and reviews to get other mother’s opinions on each car seat to help you in your choice if you're a first-time mother this is an extremely helpful tool as the process of finding the ideal product can be quite daunting. 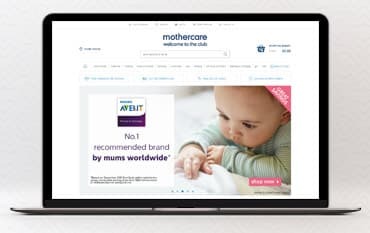 But, at Mothercare, there’s no need to worry, with plenty of help available from the minute you visit the website up until the moment you receive your product. Mothercare even offers a free fitting service where their specialist, trained advisers show you how to fit your car seat safely. As a customer, you can be confident that car seats from Mothercare are the ideal choice. Call: 0344 875 5222 or use the contact form here. Mothercare is happy to refund or exchange any product purchased in-store or via www.mothercare.com within 30 days of purchase. Since 1961 Mothercare have been supplying parents with high-quality products for babies, children and parents. Use our Mothercare voucher codes to save money on everything you need for your baby. Mothercare is one of the top one-stop shops for parents to be and their little ones, with products for maternity and your home as well as clothing, bathing and changing items plus much much more. Mothercare stock items from big brands such as Silver Cross, Bugaboo, Maxi-Cosi and iCandy. They also sell their own Mothercare and ELC branded products that are designed with children's and parent's comfort, support, interest and safety in mind.